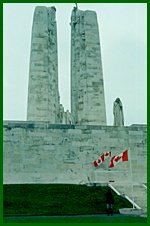 n March 2000, IFS Associates was retained by the Government of Canada to develop a forest management plan for the forests surrounding the Canadian National Vimy Memorial site in Pas de Calais, France. Present options for future management to address the two key issues: presentation and conservation of the battlefield terrain. The final report prepared by IFS Associates lays out strategies and activities to manage vegetation in order to balance conservation and presentation needs while addressing issues such as the maturing of the forest, succession and other issues which could impact negatively on the presentation and conservation of the battlefield terrain. Soil movement resulting from fallen trees, erosion and windthrow pose the greatest risk to the battlefield terrain. In order to prevent any negative impact to the battlefield terrain by soil movement, it was determined that it would be best to create climax vegetation communities which would be capable of regenerating themselves, able to control excessive soil movement and capable of withstanding environmental pressures such as insects and disease. In those areas where the existing terrain is to be phased-out through senescence, a substantive groundcover of grasses and forbs should be allowed to develop. In order to meet the dual objectives of presentation and conservation, implementation strategies were developed to guide forest management in future years. As part of the implementation plan, an assessment of skills/qualifications, projected costs and partnership options for implementing the plan have been provided. Finally, performance measures were identified against which to compare the future success of the forest management plan in meeting the stated objectives of conservation and presentation. This is an ongoing project. 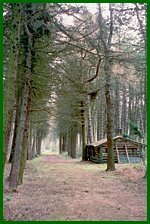 IFS Associates continues to provide advice to federal government authorities on the management of forested land on this site.